Intelligent aliens sending signals or probes makes for compelling blogging and sci-fi. But a much more prosaic piece of evidence for alien life comes from meteorites recovered from the ice of Antarctica. 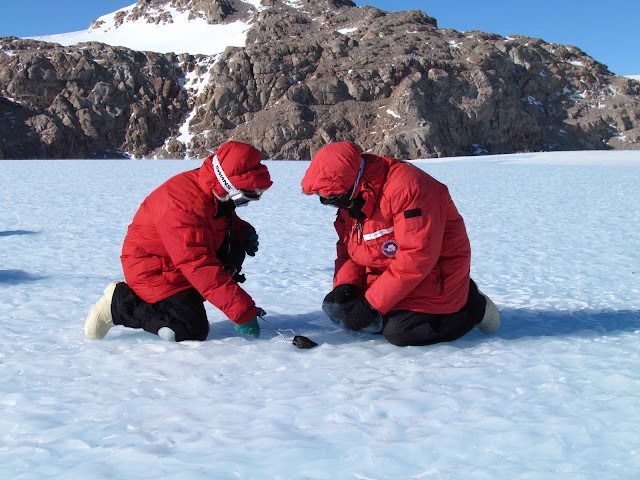 Above: Meteorite hunter's at work in Antarctica. Courtesy of ANSMET. A very rare few meteorites come from the planet Mars, blasted into deep space by asteroid impacts to wander until they fell on Earth (the reverse has happened to rocks from Earth in the distant past). These rocks are the only samples of Martian material we have access to here on Earth, so naturally we study the hell out of them. And, in two such meteorites, something odd has been seen: Minute tunnels, bored through the solid rock in the heart of the meteorites. 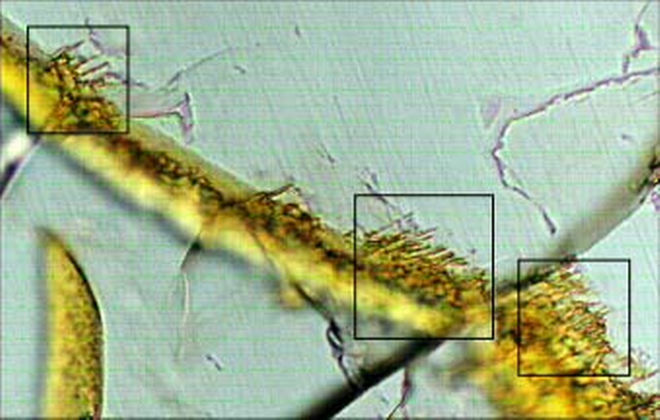 Meteorites from other parts of the solar system don’t have tunnels like these, suggesting a specifically Martian phenomena is responsible – and the tunnels bear a remarkable resemblance to tunnels bored by a group of terrestrial microbes called autolithotrophs. Tunnels like these could also have been formed by some other, unknown method on Mars – this isn’t a smoking gun, more a whiff of cordite on a suspect’s coat. But, where for other mysteries an alien life explanation is very much a distant outside chance, a microbial origin for these tiny tunnels is given serious billing by scientists: We know Mars once hosted habitable conditions, and these particular rocks have been proved to have been soaked in liquid water, have organic compounds in their interiors.